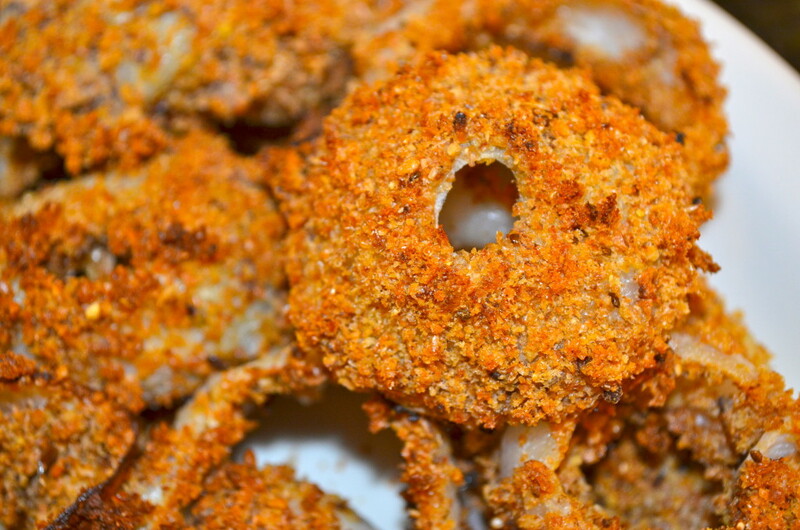 Who doesn’t love a crunchy onion ring!? I find it to be one of the best comfort foods out there. Like I said in my regular blog, my creative idea for this comes from my mom! 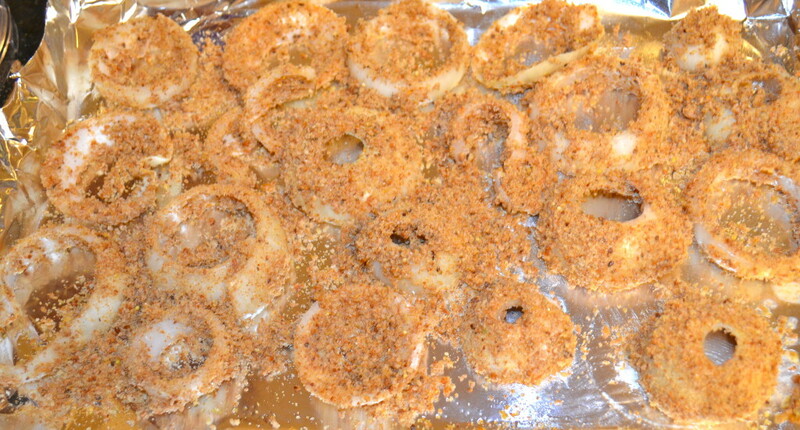 She was making baked onion rings years and years ago before people started “pinning” on online boards. G-Mama would send me back to College Park with huge freezer bags of them to live off of! Good times… minus the whole roommate thing? 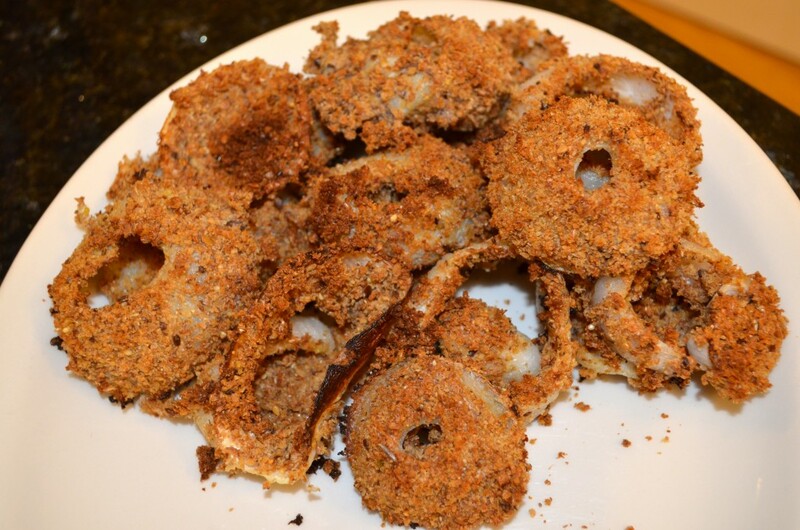 So these onion rings are a little different because they are CLEAN EATING! 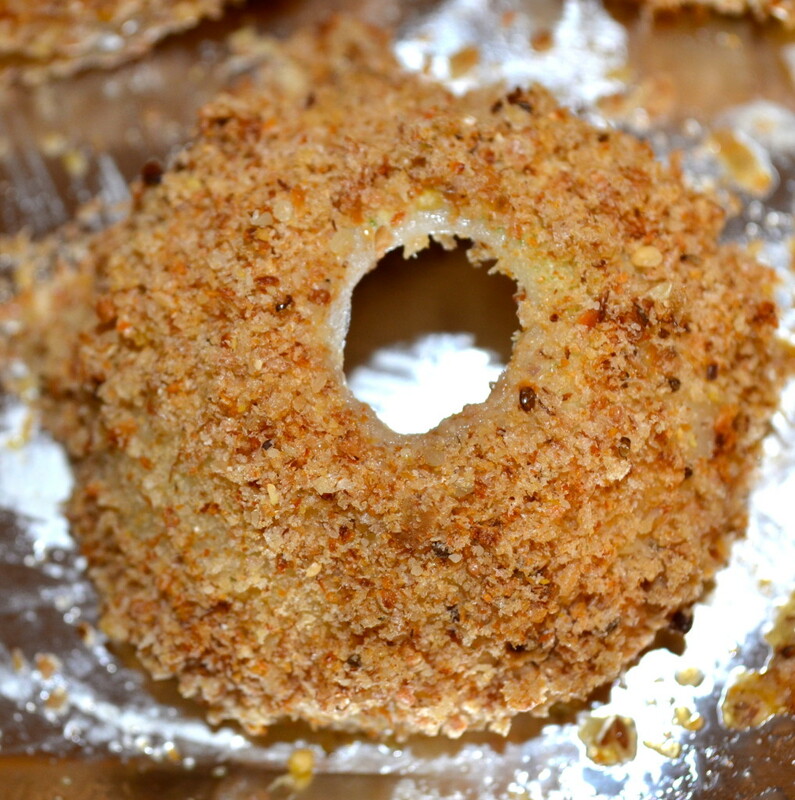 If you look up baked onion rings the breading is either panko, whole wheat bread crumbs, corn flakes, cracker crumbs, or my favorite G-Mama recipe (kettle chips… oh boy). While this is delicious, it doesn’t fit into my plan! So the solution? Ezekiel bread! Yay! Plus instead of using the yolk of an egg, I used egg whites, flax meal with water (gives an egg consistency), and some spices! Follow along for a crunchy snack! 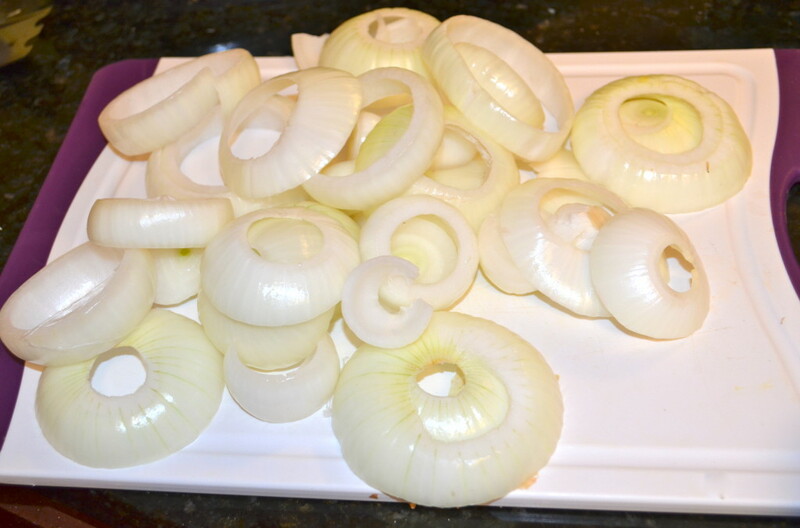 Start by slicing your onions. They obviously need to be in rings. Thickness is up to you! I like about 1/3 to 1/2 of an inch. I didn’t use all of these actually. Saved some for other recipes. Toasty! 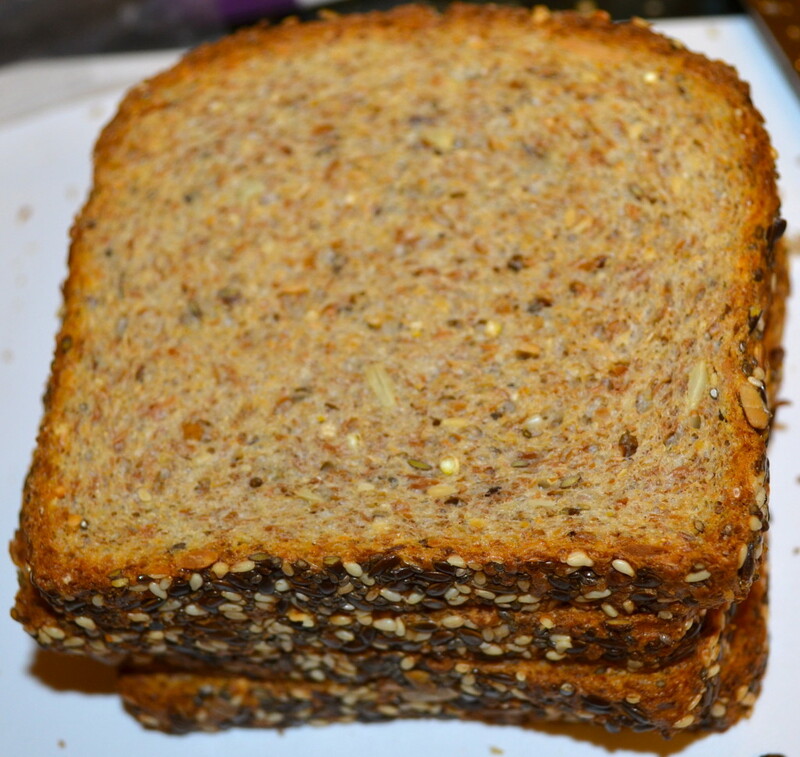 This is loaded with grains like organic millet, barley, wheat, lentils, soybeans and more! We are going to grind this up! Actually keep going after you get to this point. Get it super small. Sticks better! Now prepare the egg dip! 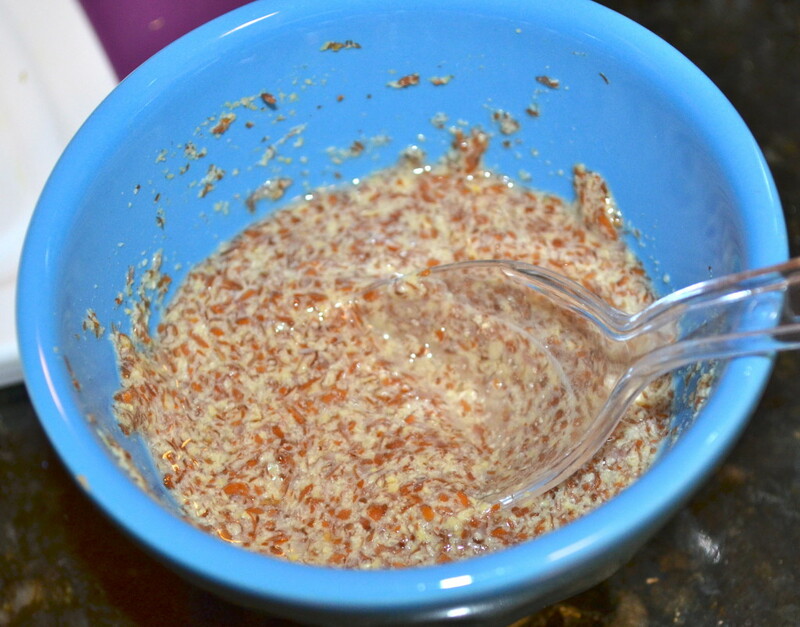 To a small dipping bowl or dish, add the flax meal and water. Mix and let sit for 5 minutes. 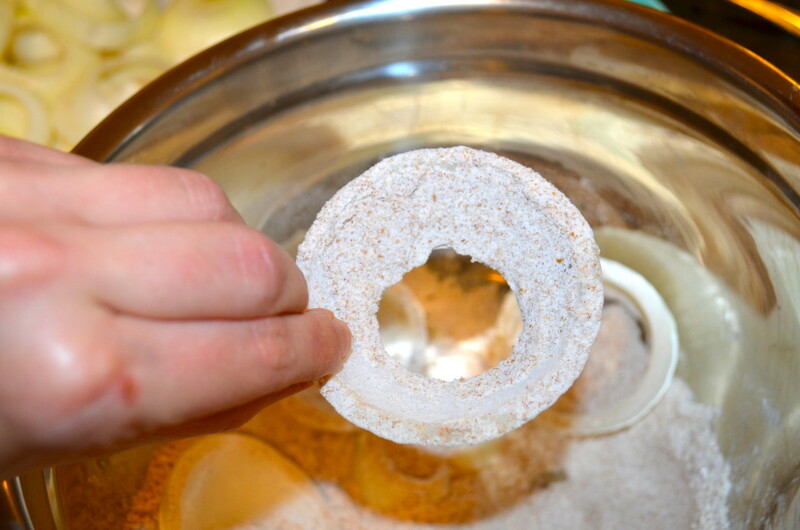 This replaces yolk in recipes, allowing the breadcrumbs to really stick to the onions. Now prepare the flour. 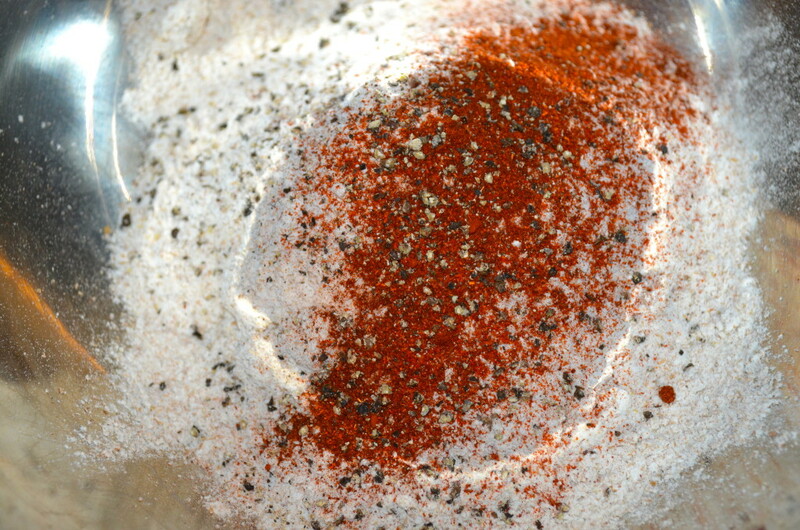 Add the spices and flour to a bowl! Different ring sorry, but you get the point! 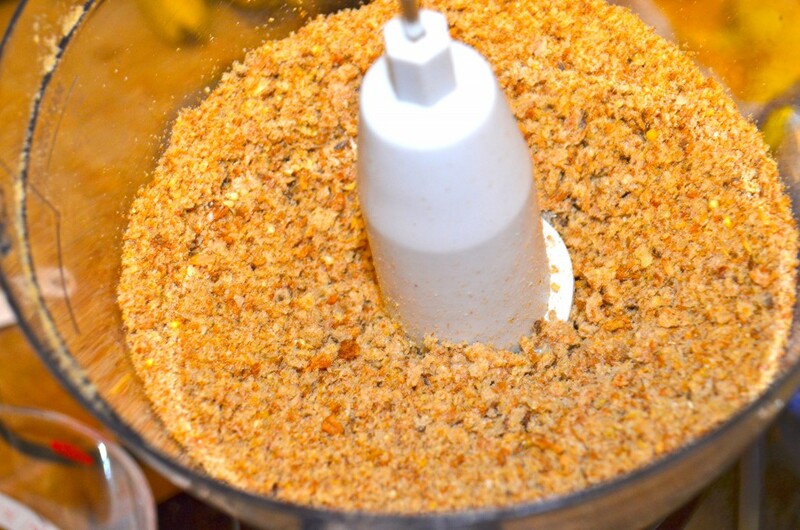 Then it goes in the Ezekiel bread crumbs! 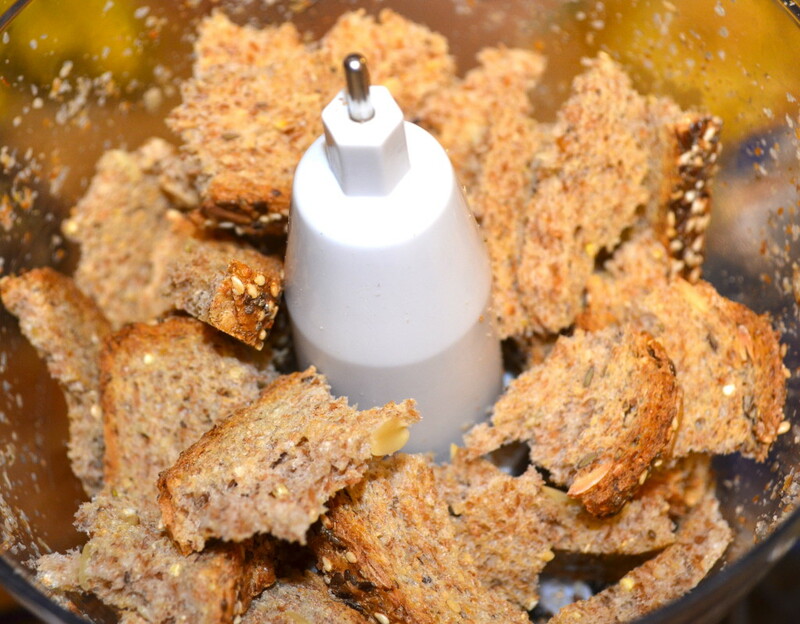 Tip for dipping in the bread crumbs: I take a handful and place in a separate bowl, dip one side then sprinkle on the other side. 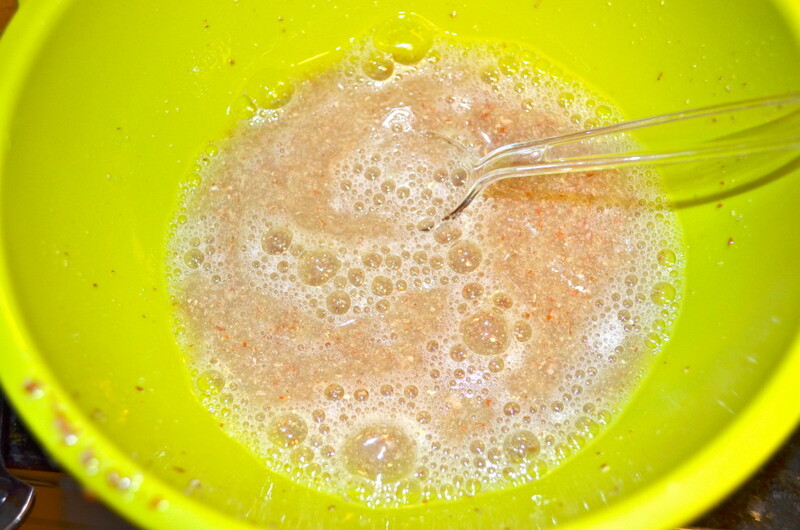 Once you start flipping, the egg mixture starts to clump your bread crumbs and then nothing sticks! So sprinkle a little at a time! Dipped and placed on the sheet! So these were actually not placed in the oven right away. I put them in the freezer overnight and pulled them out later to cook. Bake for about 20 minutes if not frozen, 30-35 if frozen. KEEP AN EYE ON IT! Look at these up close! YUM! HEALTHY AND CLEAN! Clean Eating! I told you it’s not boring! Plate and eat! Watch out these go quick! Nutritional info: This was hard to calculate because although we used all these ingredients, tons was left over right? 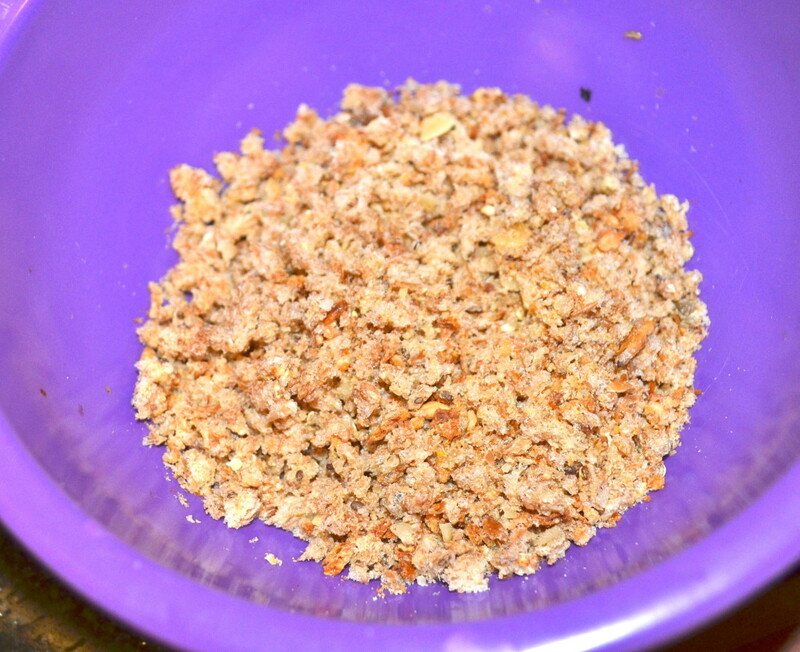 I didn’t use all the flour, the bread crumbs aren’t all used, and the egg wash has some left over as well. So this is an ESTIMATE!